I first saw Drive! (as I will refer to it as) at EGX this year, and immediately saw the potential. 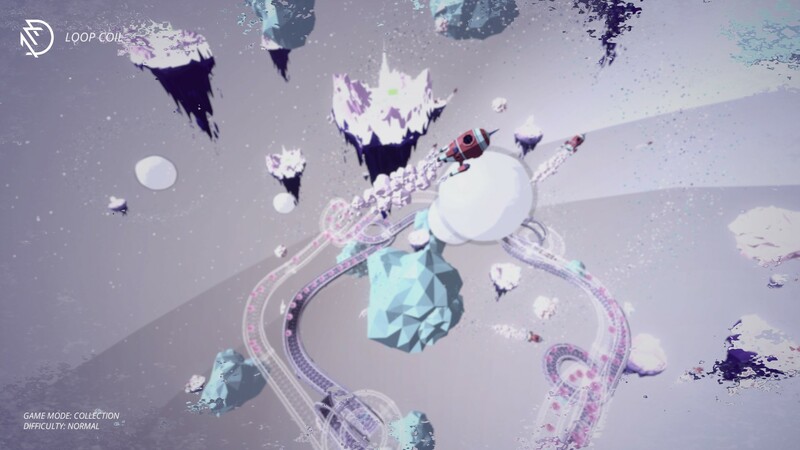 First up was the art style, fusing futuristic stylings of WipeOut with minimalist touches of Audiosurf and Tron thrown in for good measure to make a very pretty looking game. The second thing which caught my eye was the wild mashup of traditional arcade racing concepts. No longer are you racing for three laps and using power ups to get ahead. In Drive! you have one lap for each race on twisting, turning, corkscrewing tracks. Look at these mad tracks! Each race takes place on duplicates of the same track and you can quickly switch between the tracks you race on with the d-pad, while by holding down X on a PlayStation pad you can choose the track you want to switch to while the action is paused. Most of the time I use the quick switch on the d-pad, but occasionally it pays dividends to pause for a moment and reflect on the race situation, and identify your best next step. You see, Drive! is secretly also a strategy game with a lot of your choices in each race depending on the game mode. It’s also a game where the AI is fundamentally a bit crap. The AI is openly, and honestly, advertised as using Artificial IdiocyTM technology powered by the Intelligent StupidityTM engine. It does mean that your cars, when you aren’t directly controlling them, won’t necessarily make their way through to the lead, or even stay there for long. You have to think about what you are doing across the four game modes, even in the Purist game mode, an element of strategy comes into play. In Purist, your final score is worked out by your placement across all the tracks in the race. On a three tier race, finishing with a first and two fourths gives you a finishing score of nine. Not much good when the target score is eight. You might have to sacrifice your first place by looking after your cars on the other tracks. In the Arcade mode, you earn points for finishing positions and Jumps, Drifts and Smashes when you bash your AI opponents out of the way. You might be happily leading the race on one track, but you won’t necessarily get enough points to achieve a medal to progress in the campaign if there aren’t any Jumps. That means it might be wise to switch tracks and rack up your Smash score as you fight for the lead. 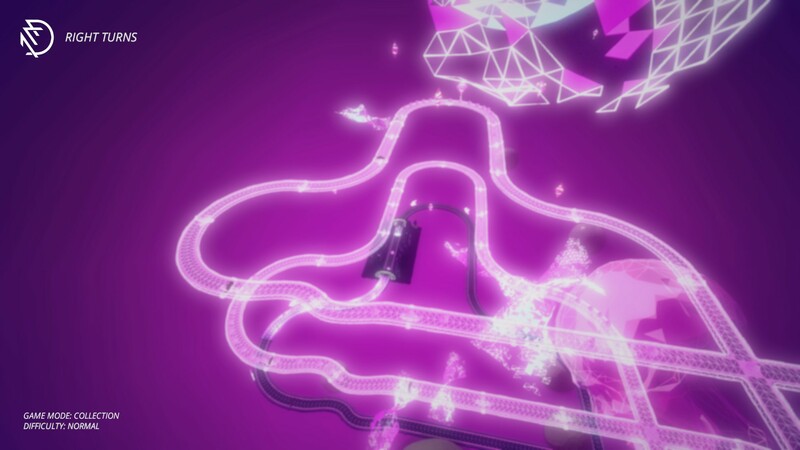 Elsewhere, in Collection you have to drive through tokens scattered along the tracks, though the tokens don’t necessarily appear in the same places on each track, again asking you to ensure your different cars are positioned at the head of the pack in the collection zones to secure the tokens before the AI drivers can nab them. The final mode, Time Trial does what is says on the tin, with your total time for completing all the tracks on a course determining your medal position. There are some stunning visual styles to check out during the Campaign. It isn’t just the game modes that will get you thinking about where you are racing. Courses feature numerous different track components. Jumps, turns with jumps in them, bouncy straights which make you jump, turns with banking, corkscrews and loop-de-loops. There are even courses with normal straights! The interesting thing about how the multiple tracks idea works is that each track is positioned within a 3D space. This is best shown in the Creation mode where you can make your own tracks of doom set to visual styles based on zones you have unlocked through the Campaign mode. Once you have created your base track, you can create the duplicates and interlace them as you so wish. Will the tracks just sit in neat vertical lines, or will the be tilted at obtuse angles? There are different teams to choose from. Here is Team Pleuisar. There is a multiplayer mode, but it certainly isn’t required, the singleplayer side of the action is more than enjoyable by itself. 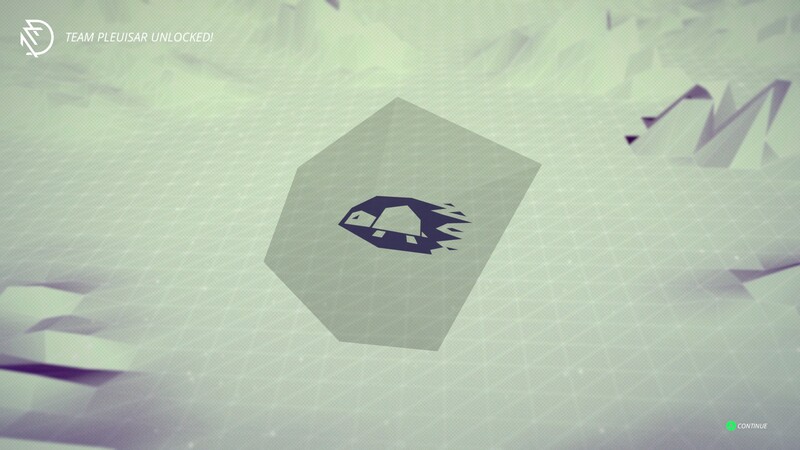 As you work your way through the Campaign, you will unlock new cars. Some are sporty numbers, other are hulking behemoths of the road that you would expect to see in Mad Max while they all have different attributes. Generally you will venture for speed over brawn or drifting ability, and there is a fairly discernible difference between how the different cars handle. Once you complete the Campaign, there is a sequence of 50 further, even harder course to tackle, though I’m still working my way through the deep and challenging base courses. In my opinion, this is a game which really deserves to be played and a community of players to emerge crafting crazy tracks and filling up the multiplayer scene. It’s rocking, but please note that if considering purchasing on PC, it requires a gamepad of some flavour and variety. Review based on Steam press copy. For more on our scoring policy, please head here.